The plan includes a Time Deposit that is credited in the first year, and matures at the end of the 10th year. It is guaranteed to pay you 260% of your original deposit, which is equivalent to 10% growth for 10 years. The plan includes an FPAR account that pays a current rate of 3%, guaranteed to never be lower than 2%, compounded daily and credited monthly, with no fees or surrender charges. All the advantages of an annuity and savings account, but none of the disadvantages. The plan includes a Service Option that allows you to send your money to an investment account of your choice. If you do not have an investment account, this option provides access to top performing mutual funds with a 81-year history with over 11% growth. 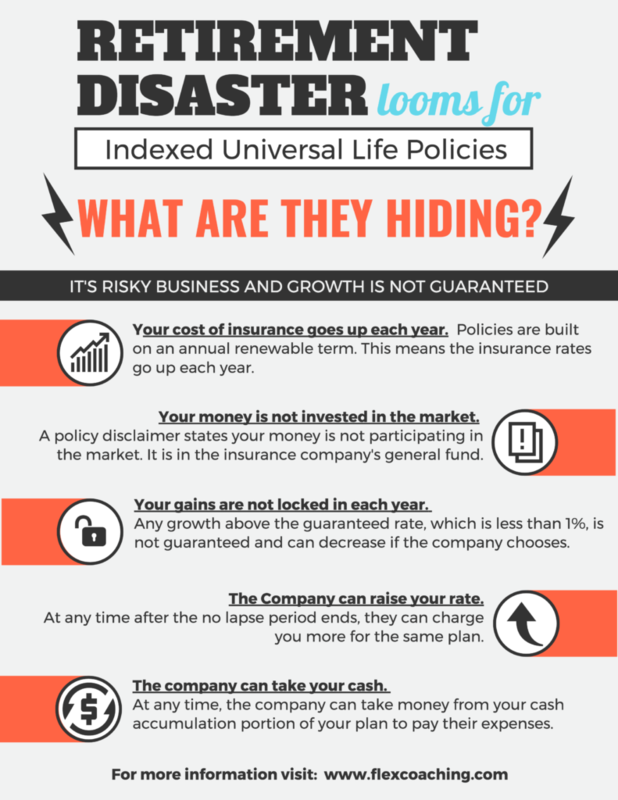 The plan includes Protection Benefits for the unexpected. If you were to become ill, disabled, or die prematurely, TAX FREE money is provided to fund the rest of your plan to age 65. This insures your retirement nest egg will still be there for you and your loved ones, no one burdened with your final expenses for burial. 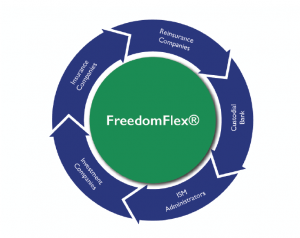 FreedomFlex® was built by the people and for the people. By following an important business fundamental and listening to the people we truly created the most unique product on the market. 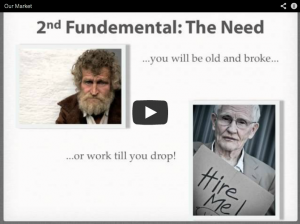 Watch our Formula for Success to see how all of this came about. 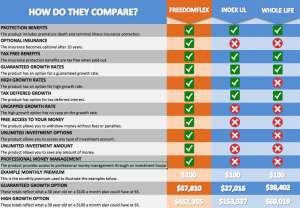 The FreedomFlex often gets compared to other types of insurance products that promote the ability to accumulate money. While the product does have an insurance component that is where the similarities end. We stacked up the FreedomFlex against a couple of the most popular comparison products. To view this in pdf click here. 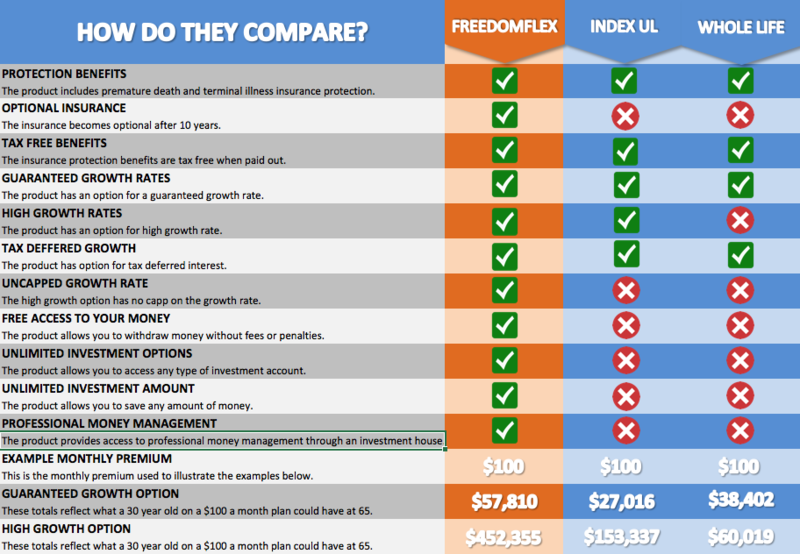 People often ask us how can FreedomFlex out perform other insurance products. Our answer is simple, we believe what one company can do for you an alliance of companies can do better. It out performs most other products because we put an alliance of companies together for the specific components of this plan to make each component perform better than the competition. To read about each company in this alliance click here. In order to meet our members needs we combined insurance protection benefits with high yield growth accounts. 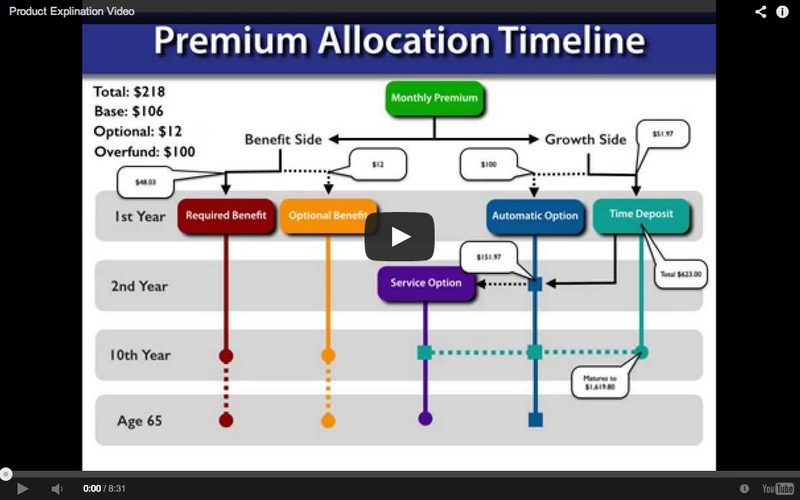 We refer to each of these as the benefit side and the growth side of the plan. These two sides have multiple components providing the features needed to fully comply with the demands of our members. Watch the product explanation video to learn more.